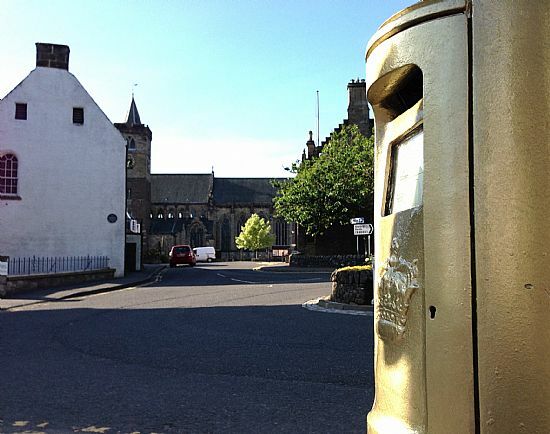 Dunblane's Leighton Library is right in front of Dunblane Cathedral in the centre of Dunblane, and across the road from Dunblane Museum and Andy Murray's Golden Postbox. Use the map below to help you visit. Or use the Public transport helper to the right if using public transport. Click and hold on the map to move around the map. Use the + or - icons to zoom in or out. To get directions to here click on the A balloon or the "Powered by Google" icon.